This world-famous, three-story, stained-glass globe—one of the key attractions on The Christian Science Plaza at The Mother Church. 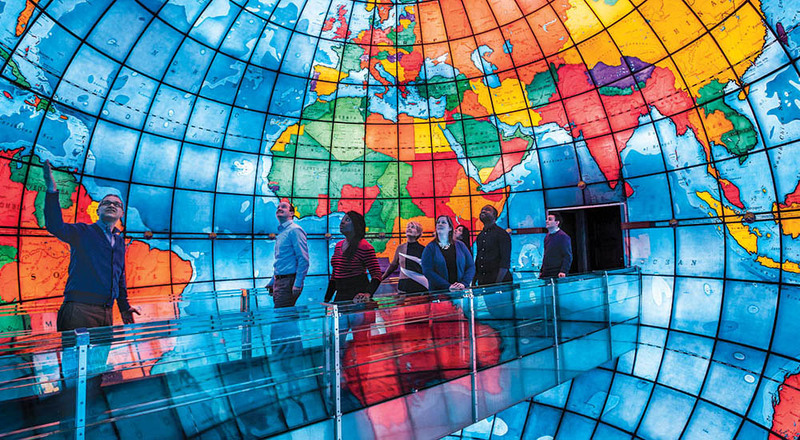 The Mapparium’s three-dimensional perspective of the world of 1935 is enhanced by A World of Ideas, an original presentation that features a rich orchestration of words, music, and LED lights to illustrate how ideas have traversed time and geography and changed the world. Mary Baker Eddy was the Discoverer and Founder of Christian Science. The Library provides public access and context to original materials and educational experiences about her life, ideas, and achievements. The Library also houses the world-famous Mapparium®. 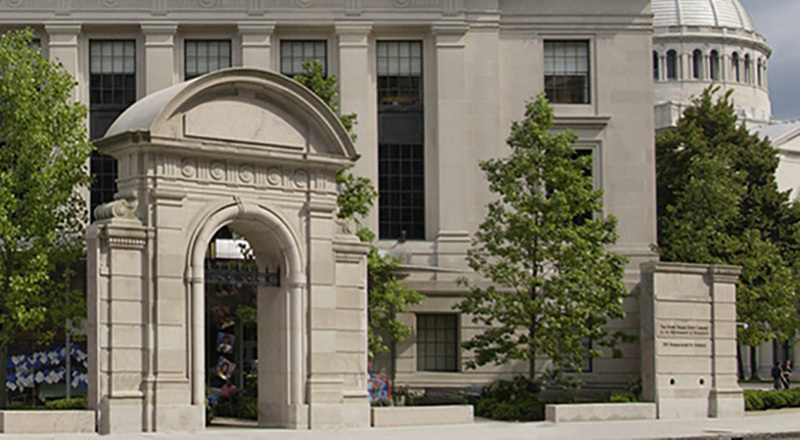 The Mary Baker Eddy Library oversees a significant collection of rare and historic Bibles. This Historic Bible Collection began with a donation of rare English-language bibles and has grown to include many editions of notable importance in the history of mankind. Visit the event calendar on The Mary Baker Eddy Library website. 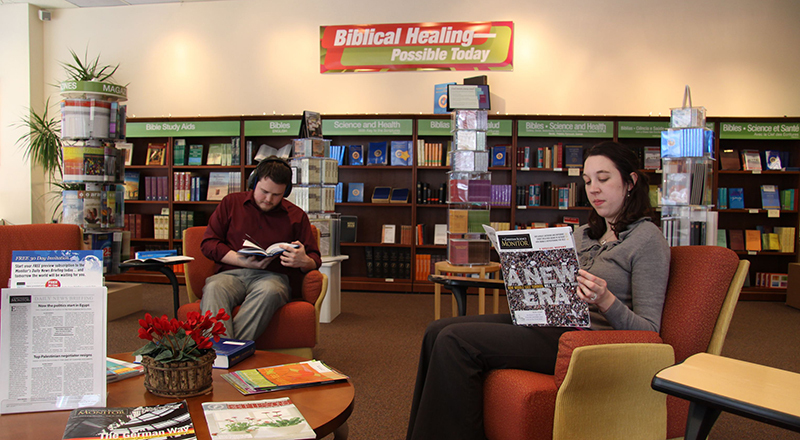 The Christian Science Reading Room in Boston and its sister Reading Rooms around the world have been advancing spiritual healing in communities since 1888. Stop by to ask questions, sample or buy resources, and attend weekly and special events. 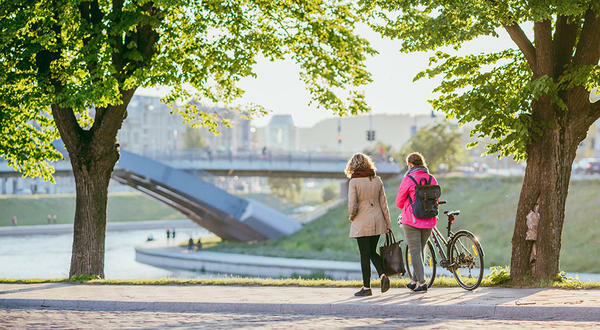 Harmony is a constant and consistent law of God that can be brought to bear in all aspects of our lives through prayer—bringing health, healing, and well-being to ourselves and our communities. Parking in underground church garage—entry off Huntington Ave. Enjoy organ music, a solo that supports the spiritual message of the sermon, and hymn singing during church services, plus organ and outdoor chiming concerts all year around. 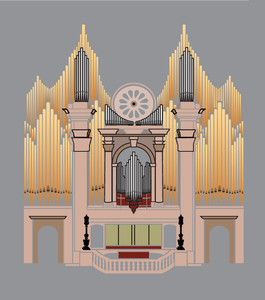 There are two organs built by the Aeolian-Skinner Organ Company of Boston at The Mother Church: one in the Original Edifice and one in the large-domed Extension of The Mother Church. The organ in the Extension is one of the largest in the world with a total of 13,384 pipes, ranging from the size of a pencil to 32 feet in length. It is played from the four-manual console located in front of the platform. Both organs can be heard during church services every Wednesday and Sunday. 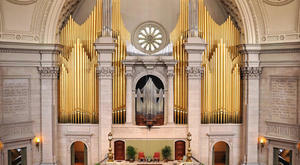 The Church hosts regular organ concerts (Pipes on the Plaza) in the Extension throughout the year by accomplished organists from the Boston area, including Bryan Ashley, Organist of The Mother Church. Every other month, organ concerts are presented by accomplished organists from around the Boston area, including Bryan Ashley, Organist of The Mother Church. These consist of midday concerts, a yearly afternoon concert as part of the Fenway Alliance’s “Opening Our Doors” activities,* a First Night Organ Concert,** and special events in conjunction with the American Guild of Organists. The Mother Church has had bells in the Church’s towers for well over a century. A chime of fifteen tubular bells, founded by the United States Tubular Bell Company of Methuen, Massachusetts, was installed in the bell tower of the Original Edifice of The Mother Church in 1894. A decade later, in 1906, a chime of eleven bells (later expanded to thirteen), founded by the Meneely Bell Company of Troy, New York, was installed in the cupola of the Extension of The Mother Church. This set was used until 1984, when a new chime of eighteen bells, founded by Royal Eijsbouts of Asten, in the Netherlands, was installed in the bell tower of the Original Edifice. Thursday evenings from 5:30 - 6:00pm during July and August.